Another service provided by SIGA is the inspection and certification of various routine components of projects. Site inspections of work designed in our office are conducted to confirm that what is on site is in compliance with our design specifications. This is a vital component of making sure that projects flow smoothly and is additional assurance that the work completed on site will perform the job that is intended. Checking that the work on site meets the design requirements is usually the easy part. You also get is the benefit of our expertise should your project encounter problems. The right advice will save you time and money. The following are examples of items certified during construction. 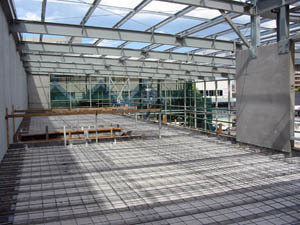 Steel reinforcement to concrete mezzanine slab, structural steel including portal frames and precast panels. Structural steel including particularly portal frames, piers to footings and concrete floor slab. 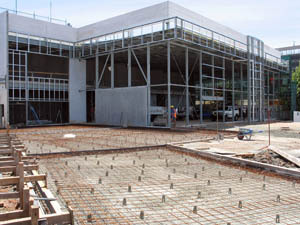 Steel reinforcement to concrete paving, structural steel frame and to precast wall panels. Steel reinforcement to waffle raft slab. 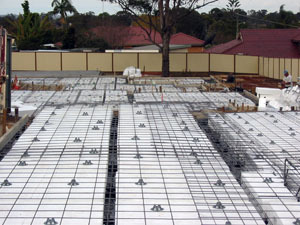 Steel reinforcement to floor slab. 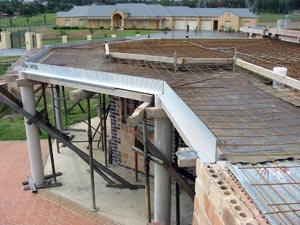 Steel reinforcement to suspended slab.